John Deszo Ratzenberger (born April 6, 1947) is an American actor, voice actor, and entrepreneur. He is best known for his role as Cliff Clavin in Cheers and his recurring supporting cast roles in Pixar films. Ratzenberger was born in Bridgeport, Connecticut, the son of Polish American Bertha (née Grohowski) and German American Deszo Alexander Ratzenberger. He attended St. Ann's School in Bridgeport and Sacred Heart University in Fairfield, Connecticut. In 1969, Ratzenberger was a tractor operator at the Woodstock Festival. He moved to London in 1971, living there for ten years. Ratzenberger was a house framer living in London when he began his career in the performing arts. His first role was a patron in The Ritz (1976). Throughout the late 1970s and early 1980s Ratzenberger appeared in various minor roles in major feature films. 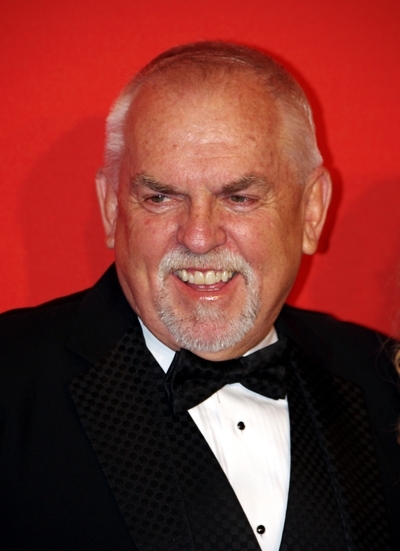 Ratzenberger is well known for playing mail carrier Cliff Clavin on the sitcom Cheers. He had read for the part of Norm Peterson, but after the audition, he sensed that they weren't going to give him the part. Sensing an opportunity, he asked if they had written a bar know-it-all, which the producers decided was a great idea. Ratzenberger also came up with the idea for Cliff's trademark white socks, which he wore as a tribute to French comedian Jacques Tati. Cliff became known for his outlandish stories of plausible half-truths, uninteresting trivia, and misinformation, and in general for being a pretentious blowhard. Cliff and Norm, the primary customer characters, became iconic bar buddies.